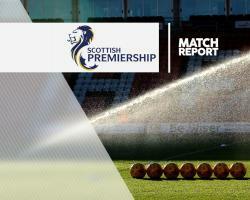 Dundee's disastrous run in the Ladbrokes Scottish Premiership continued as Hamilton inflicted a seventh straight defeat upon them at Dens Park. Paul Hartley's side slipped to second-bottom spot and into the play-off spot after goals in either half from Alex D'Acol and captain Michael Devlin ensured Accies picked up their first away win of the campaign with a 2-0 success. Hamilton's long-awaited win on away soil meant they leapfrogged rivals Dundee to add further momentum to their own push for survival thanks to D'Acol's 22nd minute penalty and Devlin's late header. Dundee went into this fixture on the back of six straight defeats with the most recent coming away to Hearts. Teenager Daniel Higgins kept his place in the side having made an impressive debut at Tynecastle on his 19th birthday. In seven minutes, Faissal El-Bakhtaoui set Marcus Haber free down the right but the Canadian's cross couldn't pick out a Dundee player. A few moments later, Haber then got clear of Hamilton skipper Devlin but his low shot was saved by Remi Matthews at his near post at the expense of a corner. The visitors first glimpse of goals came in 11 minutes when former Celtic midfielder Massimo Donati tried his luck from 25 yards, only to see his effort fly over Scott Bain's bar. That helped them settle and, in 14 minutes, they came close tom making the breakthrough as Bain was forced to pull out a smart stop to deny Rakish Bingham after some neat build-up play around the home teams- penalty area. But in 17 minutes Dundee missed a golden opportunity to take the lead. Tom Hateley's cross seemed perfect for Haber but the striker somehow seemed to misjudge the flight of the ball and failed to make contact with the goal at his mercy. However, Hamilton did go ahead 22 minutes in. Hateley was judged to have brought down Imrie and referee John Beaton had no hesitation in pointing to the spot. Up stepped D'Acol who calmly made sure with a well-taken penalty into the corner of the net to leave Bain helpless. In 37 minutes, Dundee did appeal for a penalty when El-Bakhtaoui tangled with Devlin inside the box but Beaton was having none of it. As half-time approached, Matthews thwarted EL-Bakhtaoui's header from Hateley's deep cross with a finger-tip. The second-half started with El-Bakhtaoui firing a low shot towards goal which Matthews did well to hold at the second attempt. At the other end, Donati got his head on the end of Imrie's 58th-minute header but could not keep his effort down. With 15 minutes left, MacKinnon released goal-scorer D'Acol but the Brazilian's shot struck the side-netting. Substitute Danny Redmond's deep corner was met by Devlin and he stooped to plant a header past Bain from a few yards to leave Dundee just five points ahead of bottom club Inverness.